A great place to live because of the people who live here! 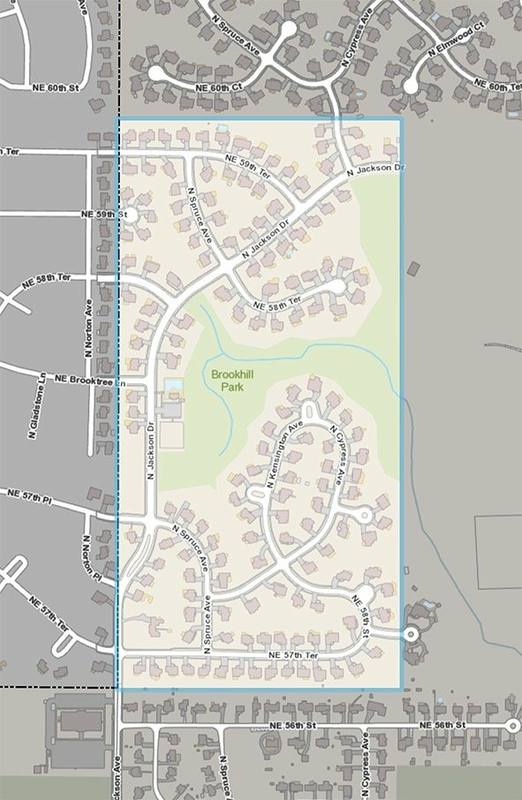 Brookhill is located in Kansas City, Clay County, Missouri, and is adjacent to the neighborhoods of Brooktree and Carriage Hills. The neighborhood is within convenient driving distance to I–35, I–29, and Highway 152. Kansas City publishes quite a bit of interesting information and maps that anyone can dig into.